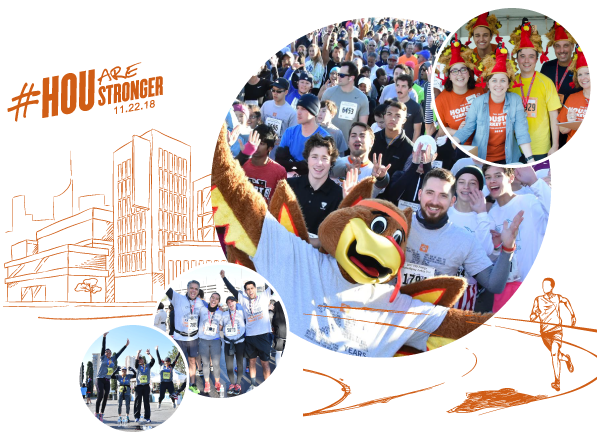 The BakerRipley Houston Turkey Trot is an event held annually to challenge and encourage us to get up, get out, give back, and give thanks on a day devoted to family and togetherness. For nearly three decades, runners of all skill levels have made the Trot a Thanksgiving tradition, raising money and awareness to improve the lives of our neighbors by getting active in our very own communities. Please take a moment to visit the Houston-area race sponsors who make this event and BakerRipley’s mission possible for so many.